Vitrines and glass cabinets are familiar apparatuses that have in large part defined modern modes of display and visibility, both within and beyond the museum. They separate objects from their contexts, group them with other objects, both similar and dissimilar, and often serve to reinforce their intrinsic or aesthetic values. The vitrine has much in common with the picture frame, the plinth and the gallery, but it has not yet received the kind of detailed art historical and theoretical discussion that has been brought to these other modes of formal display. The twelve contributions to this volume examine some of the points of origin of the vitrine and the various relations it brokers with sculpture, first in the Wunderkammer and cabinet of curiosities and then in dialog with the development of glazed architecture beginning with Paxton's Crystal Palace (1851). The collection offers close discussions of the role of the vitrine and shop window in the rise of commodity culture and their apposition with Constructivist design in the work of Frederick Kiesler; as well as original readings of the use of vitrines in Surrealism and Fluxus, and in work by Joseph Beuys, Paul Thek, Claes Oldenburg and his collaborators, Jeff Koons, Mike Kelley, Dan Graham, Vito Acconci, Damien Hirst and Josephine Meckseper, among others. 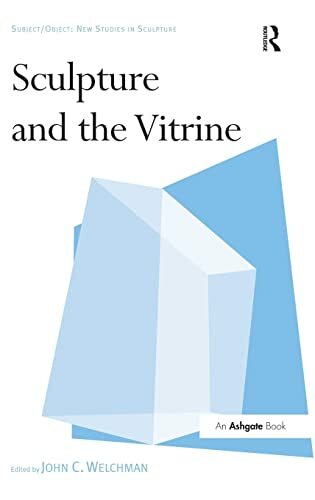 <em>Sculpture and the Vitrine</em> also raises key questions about the nature and implications of vitrinous space, including its fronts onto desire and the spectacle; transparency and legibility; and onto ideas and practices associated with the archive: collecting, preserving and ordering.